I love looking at historic photos of this wonderful city we live in, so when I heard about this book, I had to hunt down a copy for ourselves. 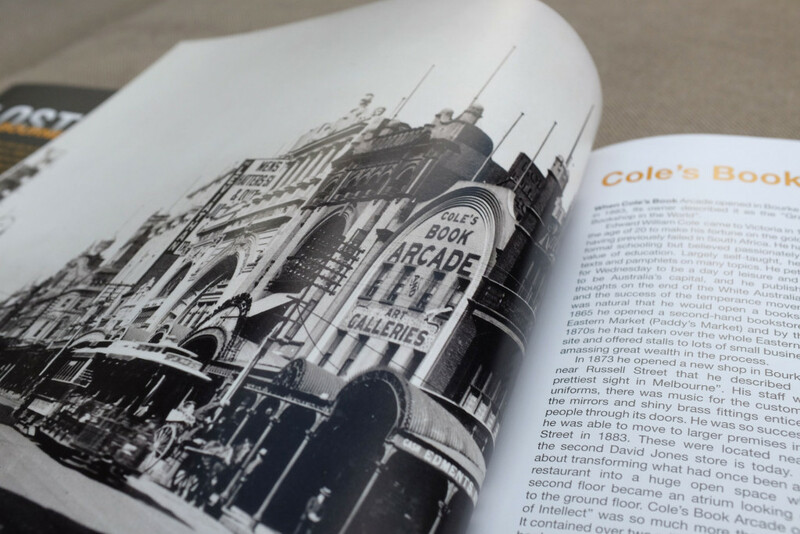 Lost Melbourne by Heather Chapman and Judith Stillman is a history book with a difference…it focuses on what we have lost over time as progress marches forever on. The book is organised chronologically, starting back in the 1800s, and finishes in the 2010s…the book itself was published in August 2015. It is a large hardback book, which gives plenty of real estate to the fascinating photos..and there is also plenty of information on each entry, which makes the photos even more poignant. I loved reading each entry…in fact, found it hard to put it down and read the entire book during a rainy afternoon, while enjoying a cup of tea..or two! My favourites were all grand buildings, none of which I ever saw in my lifetime. He was apparently an eccentric and one of the most fascinating characters that make up Melbourne’s history. Sadly, after Cole died in 1918, the business which had been so successful, began to decline and by May 1928, it closed it’s doors. It was then sold and demolished…the only aspect remaining is the glass roofed arcade between Little Collins and Collins Street. I also wished I had seen Wilson Hall which was built in the centre of Melbourne University…sadly it was badly damaged by fire in January 1952, and was knocked down. 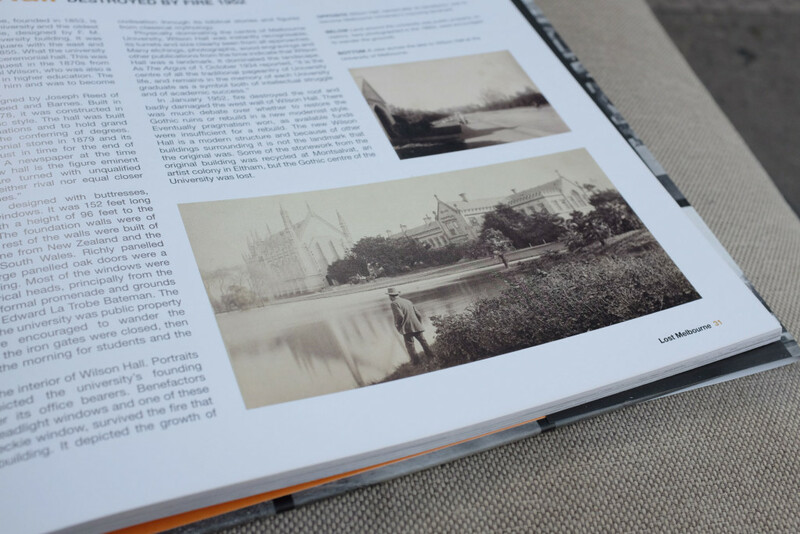 I love the photo taken of the view across a large lake across to the hall…a very different view to the one I had when I attended the University. 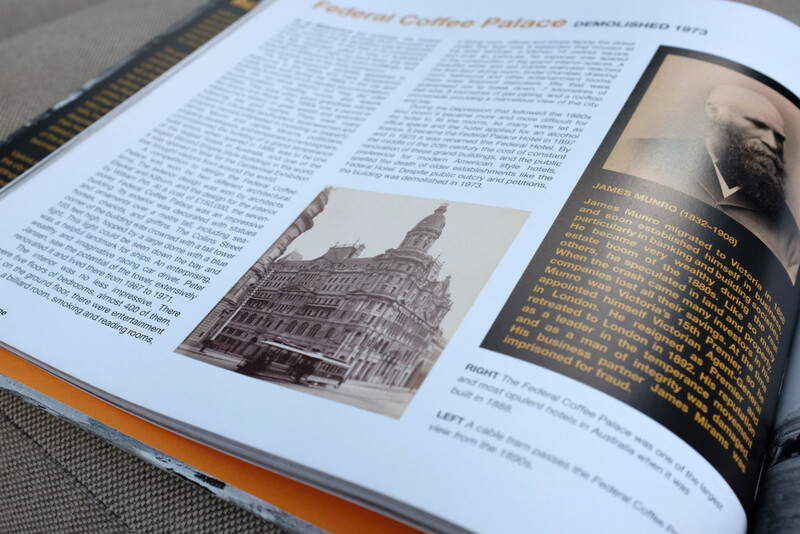 And lastly is the Federal Coffee Place…many believe that this is the most mourned of what we have lost…this impressive building was one of the largest and most opulent hotels in Australia when in opened in 1888. It had a tower which had a blue light on top…this light could be seen down the bay, and ships used it as a landmark! Despite public outcry and petitions, it was eventually demolished in 1973. One building which has a family connection…and one which I did see before it was demolished…is Prince Henry’s Hospital…my mother nursed there for many years and has told me of the nurses watching the Dawn Service at the Shrine from the windows during night duty in the 1960s. Prince Henry’s closed in 1991 and was demolished in 1994. And there are entries about non-building losses….such as the cable trams that were discontinued in 1940, the “six o’clock swill” that ended in 1966, and the sad fact that there were elephant rides at the Zoo until 1962. Plus, there are some cases where the original business is long gone, but the building remains in some form…for example, the infamous Pentridge Jail and the impressive General Post Office. Lost Melbourne not only preserves forever the history we have lost, but also emphasizes the need to protect what is still left standing. This is one of the best books I have bought on Melbourne and I highly recommend it, especially for anyone who loves Melbourne history and/or photographs from the past. It will definitely take pride of place on our bookshelf! 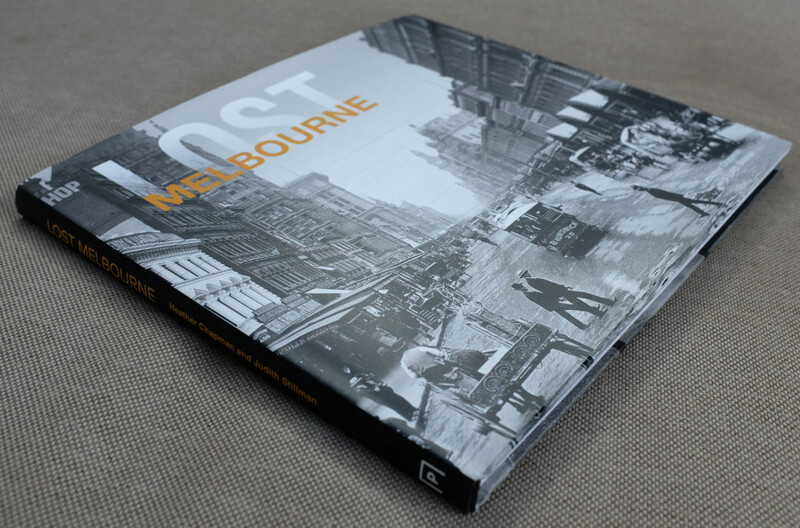 Lost Melbourne is available at all good bookshops and online. I do love reading about Melbourne and its history. This would make a great present too I would suspect!! It really is one of the most fascinating books on Melbourne that I have read…would make a fabulous present!